Huawei’s success is tied to its ability to plant the seeds of the future, a philosophy that underscores its heavy investment in the countries in which it operates. It is also at the heart of the research and development it finances to ensure the company is not only a major innovator but also delivers cutting edge technology solutions. The technology developed by Huawei then drives the next wave of innovation, and the talent that created it become the next generation of innovators. Some facts: Huawei has invested more than $US60 billion in R&D over the past 10 years, and has made a public commitment to invest 10-15 per cent of its annual revenues to further R&D work. Of its 170,000 employees, 80,000 are employed in R&D. That innovation flows into 170 countries of which Australia is one the largest beneficiaries. People are often surprised when they discover the extent of Huawei’s presence in Australia. The company has more than 700 staff – and they are not exclusively employed in sales and support – spread across five offices. Huawei is heavily committed to research and development in Australia with a dedicated Research & Development Lab in Melbourne, and a National Innovation & Training Centre in Sydney that has already trained over 5,000 engineers. Huawei is also an educator. The Huawei Seeds of the Future program offers up to 75 New Colombo Plan students from Australian universities the chance to work in Huawei’s main R&D and manufacturing facilities in China, eventually returning to Australia with both new knowledge and ideas. This is what the company means when it talks about ‘planting the seeds of the future’. 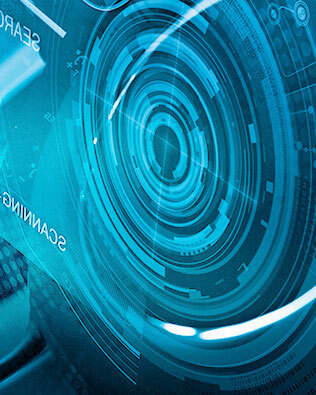 Huawei understands technology innovation comes through developing highly skilled people. Australia with its appetite for innovation offers the opportunity to do that, in line with Huawei’s own vision and philosophy. Huawei’s commitment to Australia is about more than simply setting up offices and selling to local enterprises. Apart from investing in innovation, Huawei also participates in local culture through its sponsorship of two leading teams in Australia’s most popular sporting codes: the Canberra Raiders (NRL) and Gold Coast Suns (AFL). Beyond sport, Huawei also looks to help build Australia. The company has partnered with the Clontarf Foundation, which provides leading educational opportunities to Aboriginal Australians across the country. It has also sponsored the Tour De Cure to fund cancer research and The Bright Alliance Health Research Centre. 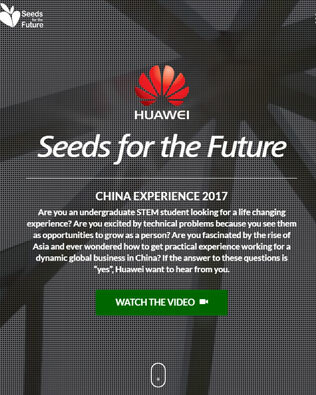 Through these sponsorships and partnerships, Huawei looks to support research beyond technology and help ‘plant the seeds for the future’ for all Australians. Enterprise – where the company focuses on working through an extensive channel in order to address the key pain points of local business operations. Carrier – representing the telecommunications technology and support operations. Consumer - covering smartphones, watches and other consumer devices. The three business units share some features that make the company attractive proposition for local partners and customers. The most significant is Huawei’s investment in R&D. Apart from making its mark as a high quality innovator of products, this commitment makes Huawei less reliant on acquisitions than many companies. In fact, despite being one of the largest technology companies – reaching one-third of the world’s people with its product and services – Huawei makes very few major acquisitions. This benefits partners and customers by ensuring a seamless experience when engaging with Huawei technology. There are no compatibility issues with its technology – each new innovation is built from and off the same platform. Businesses often talk about ‘synergies’ and ‘complementary technologies’ when explaining an acquisition, but for Huawei this is an inherent benefit of investing in R&D rather than making big acquisitions. And Huawei’s channel also benefits from this in three ways. “We believe constantly invest in our product will help customer and partner build confidence in our product quality,” James Liu, Head of Huawei Australia Enterprise Channel Business Department, said. “This investment in R&D will also keep our product more cost effective when compared to our competitors. Finally, because we have such a big investment in R&D, we have the largest product portfolio in this country, so customers and partners can develop and manage end-to-end solutions through Huawei. To understand the tangible benefits research and development brings to Australia, consider Huawei’s innovation in the Internet of Things (IoT). It’s a technology hot-spot pulling massive private and business interest and it’s easy to see why. For instance, the potential for urban planners to use IoT to establish smart cities and drive greater efficiencies and reduce burdens, from traffic movements through to the impact of weather and climate, is driving a major investment and experimentation. And Huawei is leader in the smart city movement, partnering with South East Water in Victoria to roll out a global first – a trial of narrowband IoT technology to monitor sewerage, rainwater, and manhole assets in real time. Huawei collects the data from the smart meters through its IoT management platform and feeds it into South East Water’s main systems, where it is then uploaded to a cloud-based business intelligence tool. This gives staff at South East Water instantly updated information on the flow and movement of water around the utility grid. As the project continues to expand in scope, it will allow South East Water to instantly detect blockages before they become a larger problem. It will also allow the customer-facing side of the operation – the customer and call centres – to be more responsive to enquiries and better address concerns. Overall, it will result in a more robust and efficient network, with fewer weaknesses in the water grid, that is better equipped to handle emergencies and stresses. The case study, driven principally by Huawei technology, shows how the company’s commitment to R & D and innovation benefits Australia. The efficiencies the technology has enabled also mean it is a cost-neutral improvement to Victoria’s water grid, and is proof of Huawei’s insight into the potential for narrowband IoT to offer a carrier-grade connectivity solution, particularly within Australia. Huawei’s partners can also rely on the company’s support around their own innovation. Being part of an organisation that values R&D and innovation, and values a strong and growing channel, means Huawei is incredibly receptive to ideas, according to James Liu. “Rather than acquire technology and then try and integrate different pieces together, we prefer to build on our platform,” he said. “This benefits our partners. For those conducting their own R&D, we have structured our channel program around enabling them to devise and execute their own solutions – and take ownership of them – while basing it on Huawei’s technology. That resonates with our partners. As a result, we have a robust range of solution partnerships globally, with the full weight of the company supporting our partners and their proof of concepts. Huawei perhaps cedes some of its prominence in the market by being so active in putting its partners first, and allowing those partners to stamp their own brand on their interactions with their customers. While some people are surprised at the scale in which Huawei operates in Australia, the organisation is focused on putting its partners first in the enterprise space. “We have a firm channel strategy,” James said. “We have very strict restrictions on direct sales and always preference working on opportunities with, and through, channel partners. Culturally, our organisation sees that it is in our own best interest that our partners are able to grow their business with Huawei. In addition to partnering with government and public organisations, Huawei also provides the enterprise network market with some of the most comprehensive product combinations in the industry. The full suite of products includes ethernet switches and enterprise routers, Wireless Local Area Networks (WLANs), network security, and network management. Through its partners, as a channel-led organisation to the enterprise market, Huawei also helps enterprises build integrated infrastructure network platforms – for campuses, branches, WAN interconnections, and datacentres – by coordinating services such as network and security, wired and wireless, computing, and storage. One of the greatest benefits of Huawei’s intensive investment in R&D is a product set that can be truly end-to-end for the enterprise customer. The architecture enables optimal user experience while maintaining extensive security. The company’s approach leverages ubiquitous connections, an open cloud management platform, and social media applications for enterprises, to upgrade their infrastructure network and offers choices for what it terms Real-time, On-demand, All-online, Do-It-Yourself, and Social (ROADS) services. In scenarios such as campuses, branches and IoT, cloud-based network management achieves faster service deployment and simpler network Operations and Maintenance (O&M) based on datacentre network interconnections and interoperability. The cloud management platform also provides big data analytics, enabling various Software-as-a-Service (SaaS) applications. Huawei terms this All-Cloud, and it creates new opportunities with open, third-party integration, but also adds business value to network resources and data. Underscoring Huawei’s commitment to R&D and innovation is this final statistic: in 2017, Huawei was one of the top two patent applicants, worldwide. Only through substantial investment in R&D can a company have that many patent applications. But it’s not innovation and investment for the sake of it. Huawei has a specific strategy and purpose behind this expenditure – to ensure the company provides leading, cutting edge technology, yes, but equally to sow seeds for the future. Huawei invests in R&D to foster the next generation of innovative thinkers in the technology space, and to find solutions benefitting both businesses and the lives of people. And that’s why Huawei invests just as heavily in Australia itself, helping the next generation get the skills it needs in the increasingly technology-focused world, developing solutions to help Australia grapple with its social and economic challenges, and simply being a part of Australia’s unique culture. The company is proud of the fact that while other businesses are happy to sell into Australia, Huawei is committed to being a part of it.